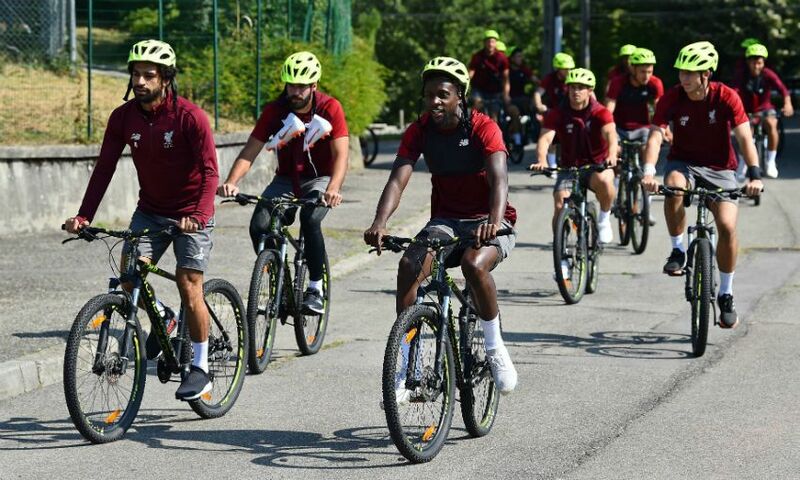 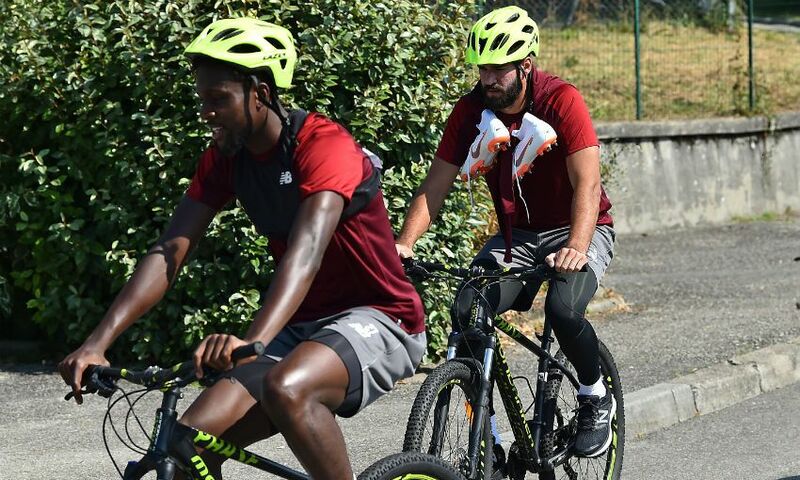 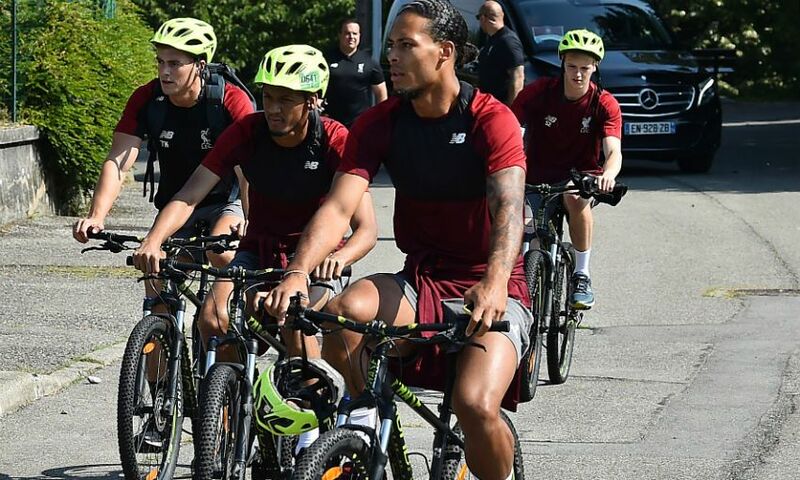 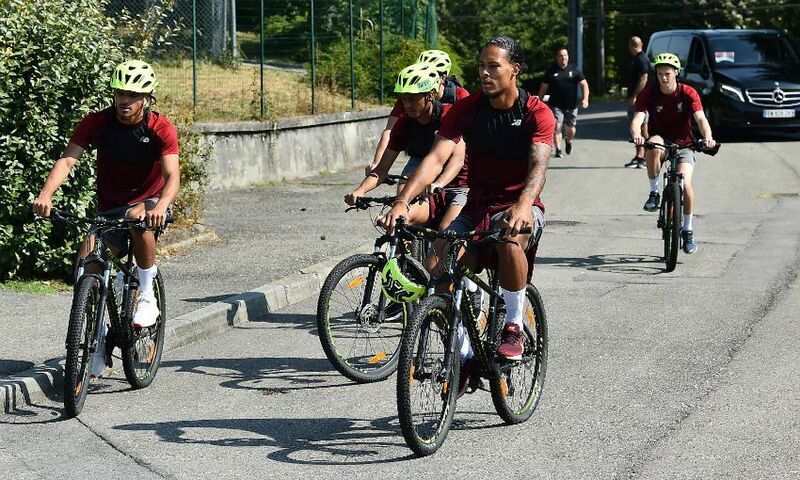 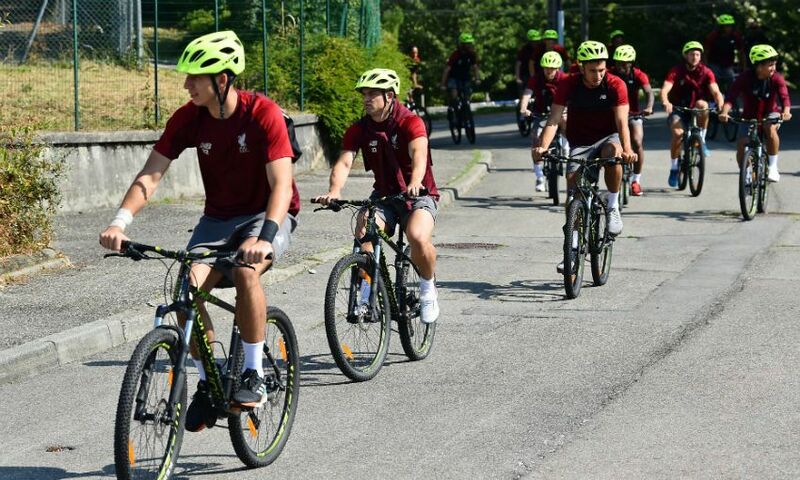 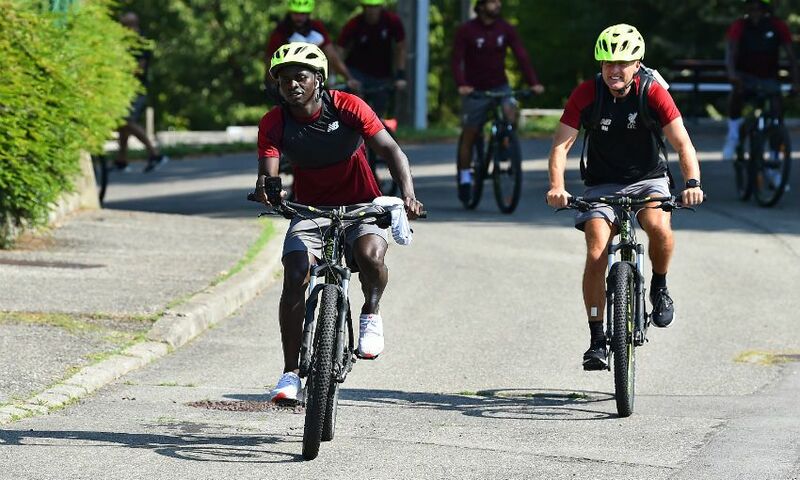 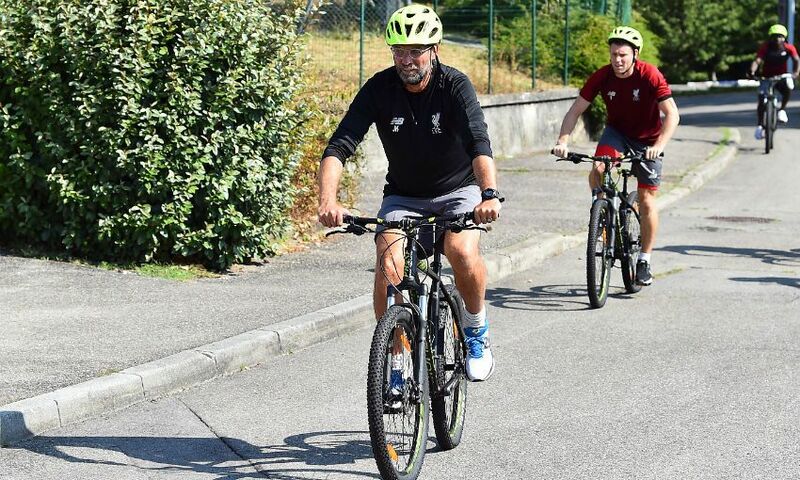 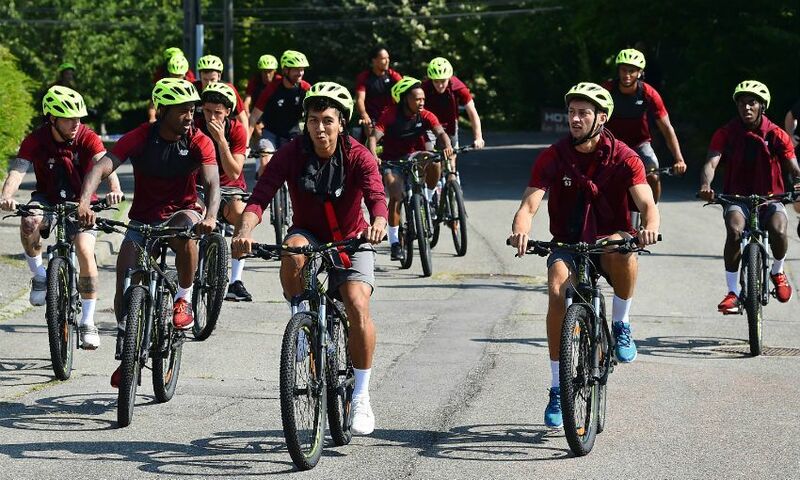 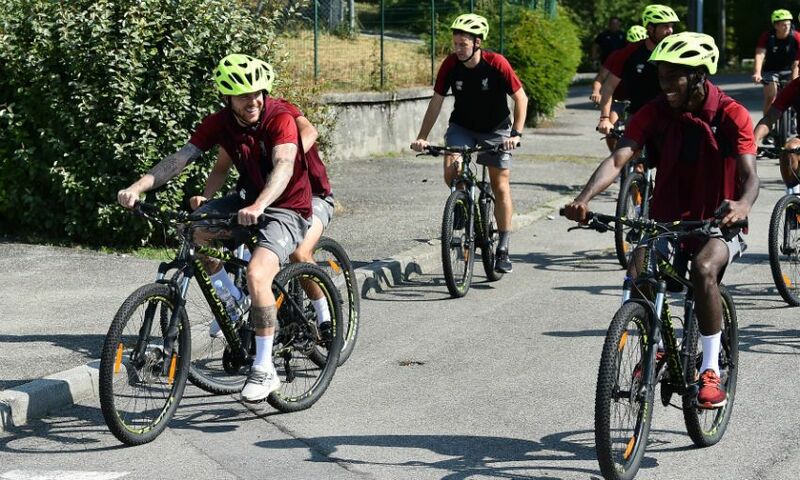 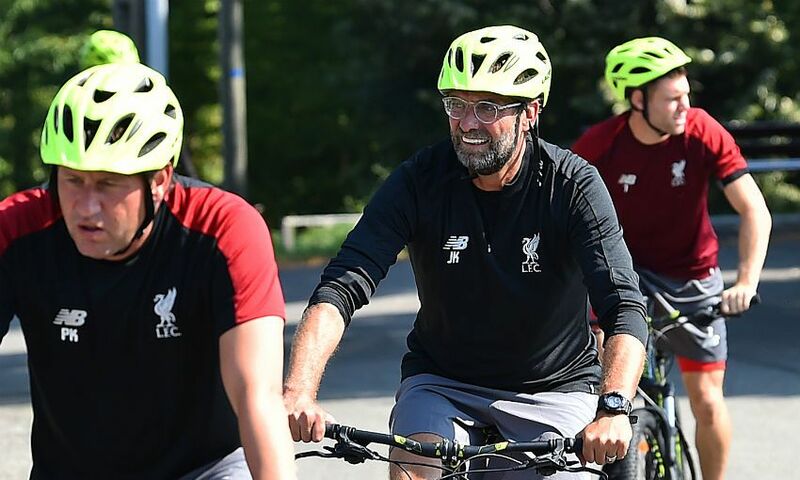 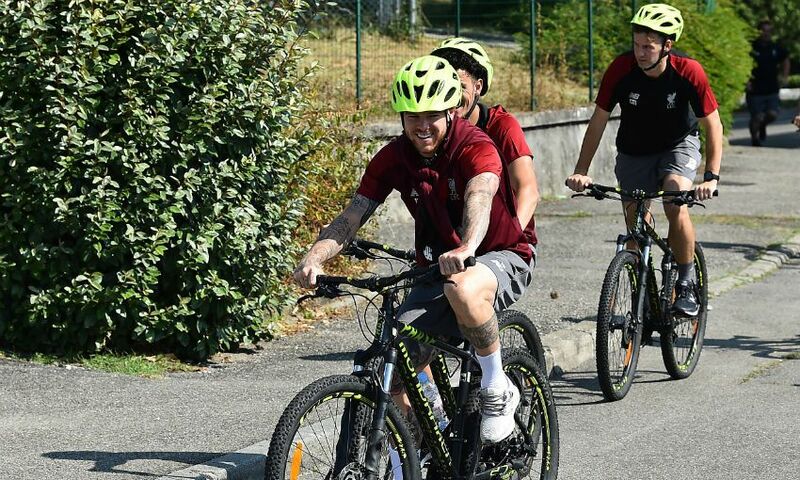 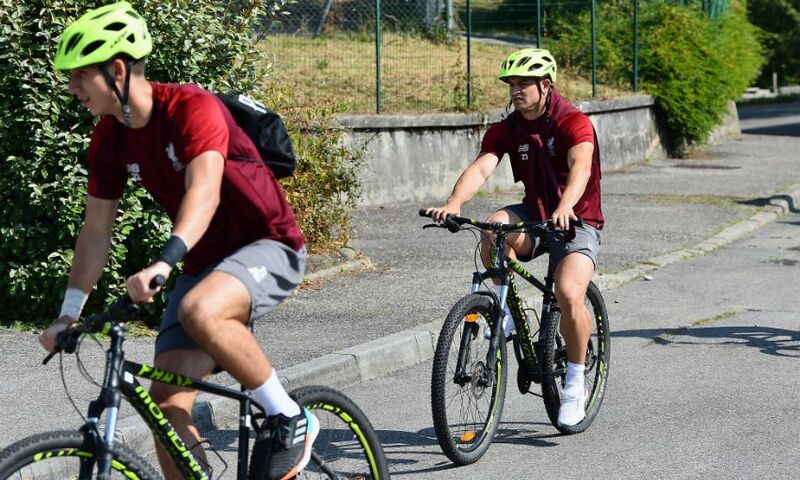 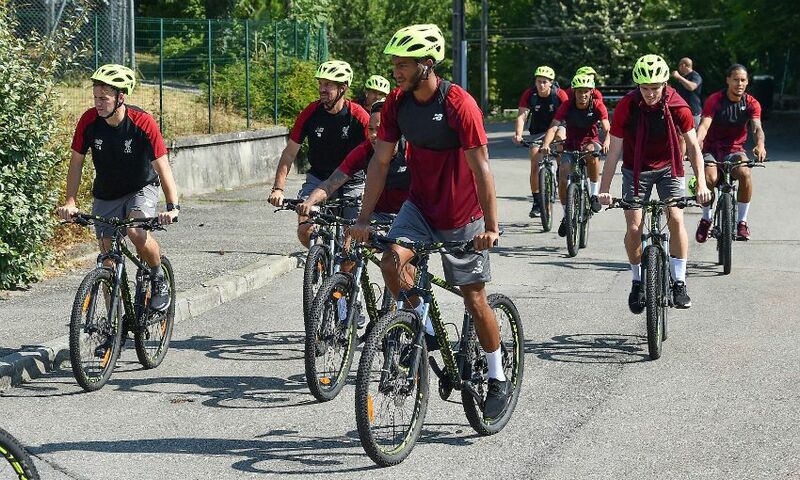 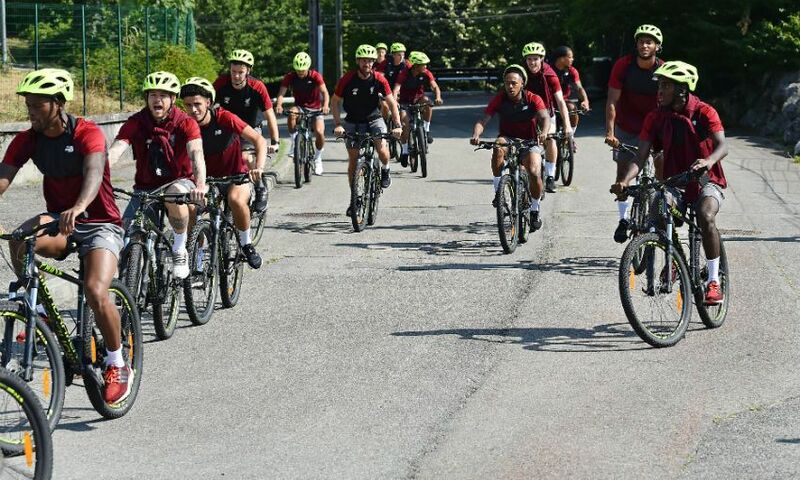 A work-out in the searing Evian sunshine got Liverpool's pre-season training camp under way - with Jürgen Klopp and his players making their way to and from Tuesday's first session on bicycles. 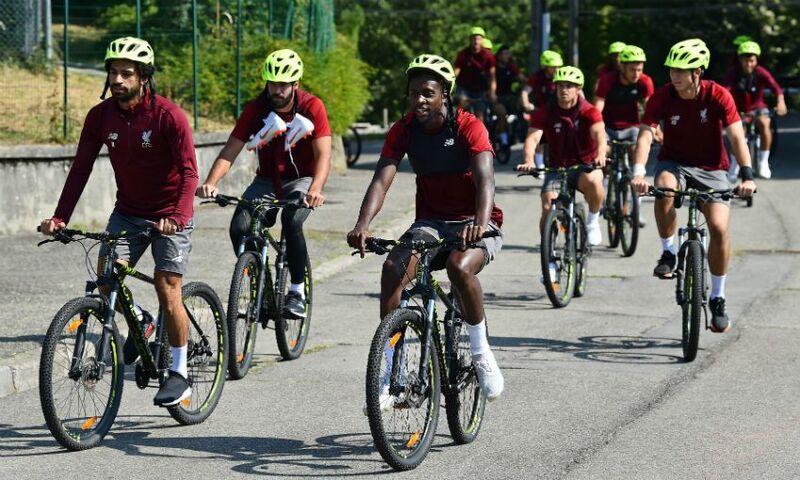 The Reds flew out to the east of France on Monday for a five-day stay before their penultimate friendly of the summer against Napoli in Dublin. 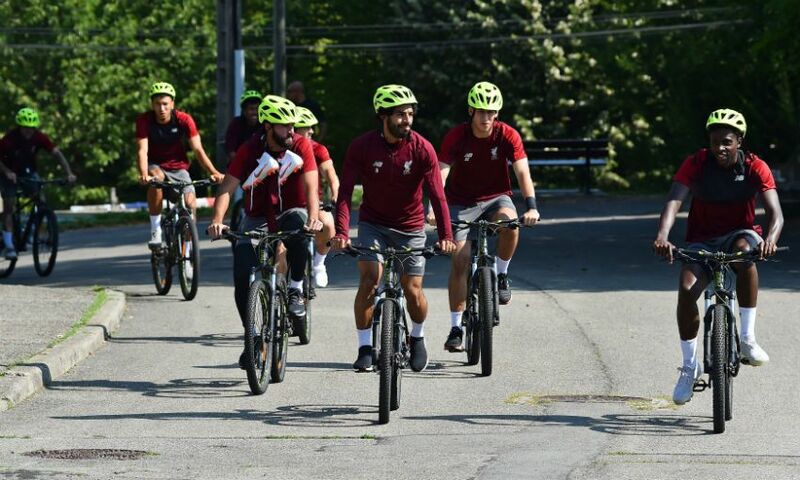 Alisson Becker trained with his new teammates for the first time this morning, while Roberto Firmino was back with the group following his post-World Cup holiday. 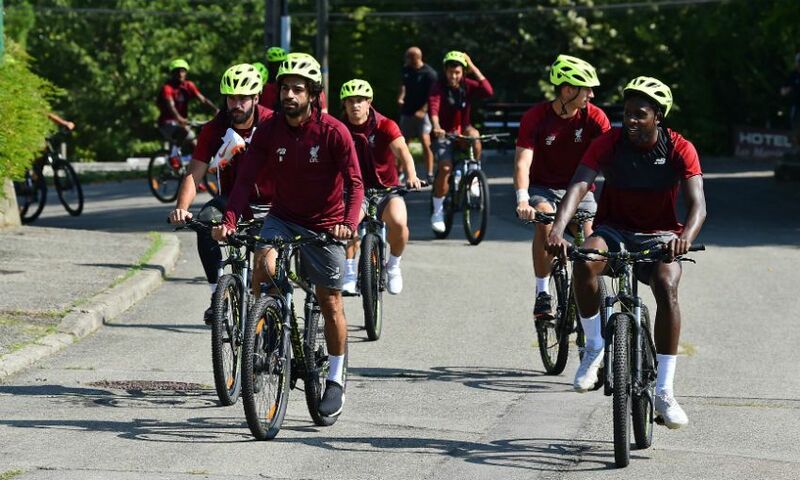 The Brazilian duo joined Klopp and the rest of his squad in biking the short distance to and from the first of Tuesday's two sessions - which began at 11am local time and lasted around 90 minutes in temperatures exceeding 30 degrees celsius.